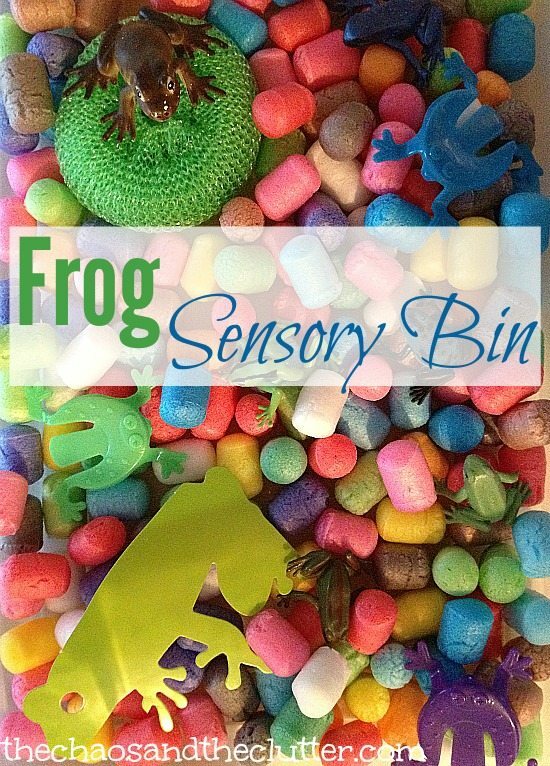 Back when we first started using sensory bins, we made a frog sensory bin. It was well, ugly. It was one of my first efforts at dying pasta and thankfully, I have gotten better at certain aspects of making sensory bins since then! I decided that it was time to try a frog themed sensory bin again and this time, I opted out of using orangey, red mini pasta shells and used a bright coloured base instead. 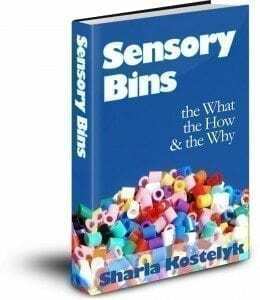 This actually was one of the bins that we put together at our sensory bin swap a few months ago. 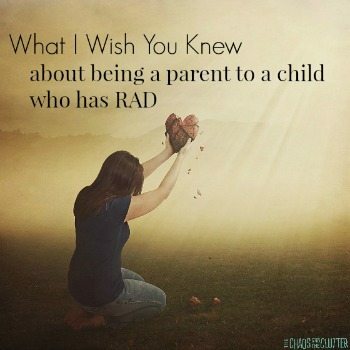 We had thrown most of the items into a resealable bag so all I had to do was dump it into a bin and it was ready for the kids to play with. I added a few extra frogs but other than that, the bin was ready to go from the swap. The base for this bin was play puffs. 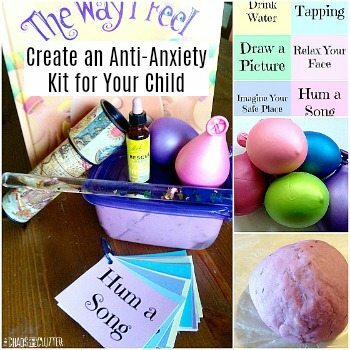 They are a great multi-purpose item as they can be used for sensory play or for craft creation. Once they are wet, play puffs stick together to form whatever shape they can imagine. Also in this bin, a kitchen sponge “lily pad”, plastic jump frogs, stretchy frogs, toy frogs, and a glossy paper die cut frog. 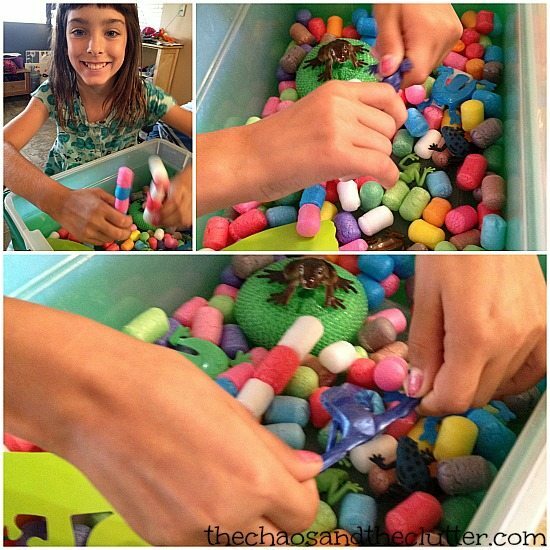 My plan for the kids to use the play puffs for a craft project after I retired this sensory bin didn’t pan out the way I’d planned it. As soon as the kids discovered the ability to stick the play puffs together, they added that as part of their sensory bin play. 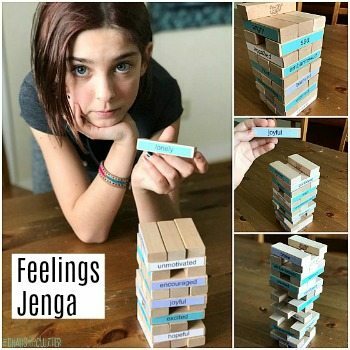 It made this a popular activity! 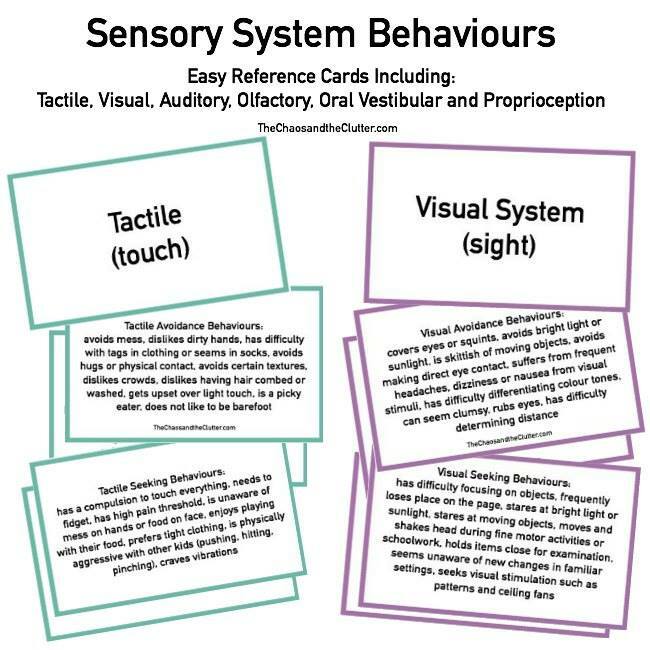 For hundreds of sensory bin ideas, you can also follow my Sensory Bins board on Pinterest.